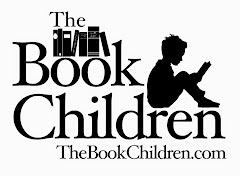 The last few days of school have brought some fun and interesting projects for the older kids. 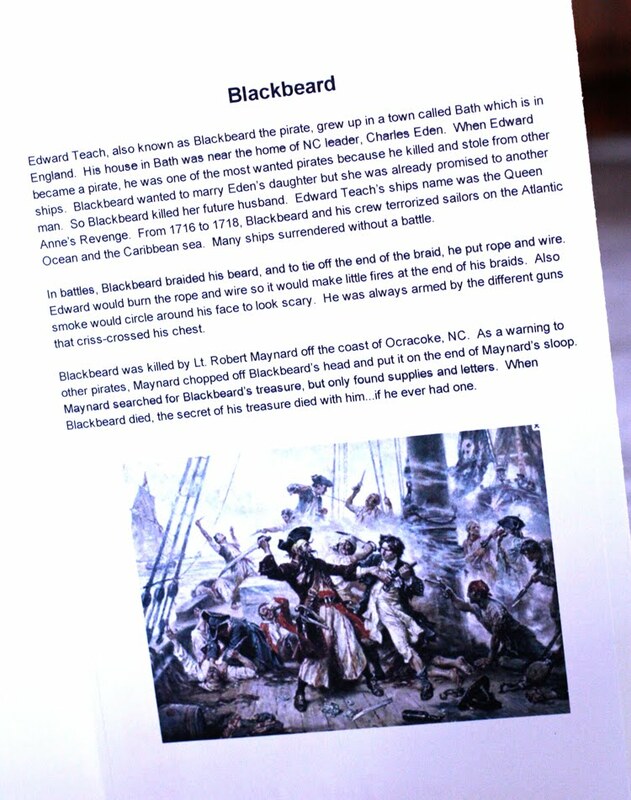 Paulie and Elizabeth each had to research a famous public figure, and Elizabeth's was required to be a famous NC figure. Paulie's project required him to not only research a famous figure, but become that person for a "wax museum". 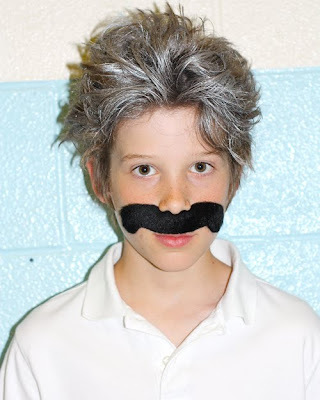 During the wax museum, he would look like a wax figure of the person and have a button on his hand for people to push to hear him quote a short biography of his choice. He chose to research and become a wax figure of Albert Einstein. 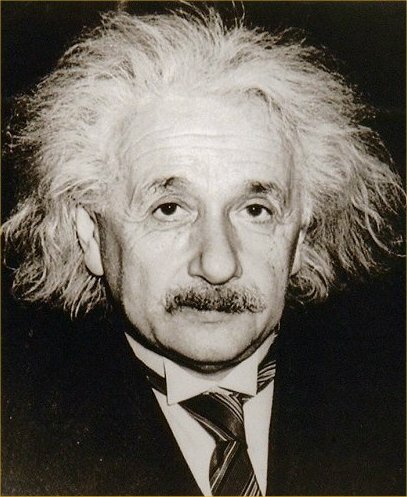 Didn't he do a great job becoming Einstein? 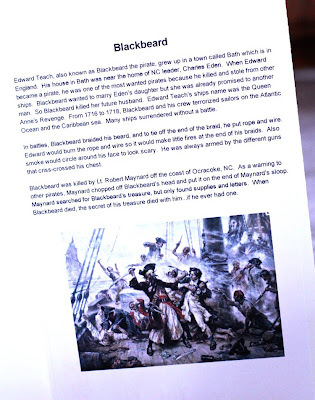 Elizabeth, on the other hand, didn't become Blackbeard, but she had to research his life, particularly centered around NC, and choose 3 creative ways to tell his story. 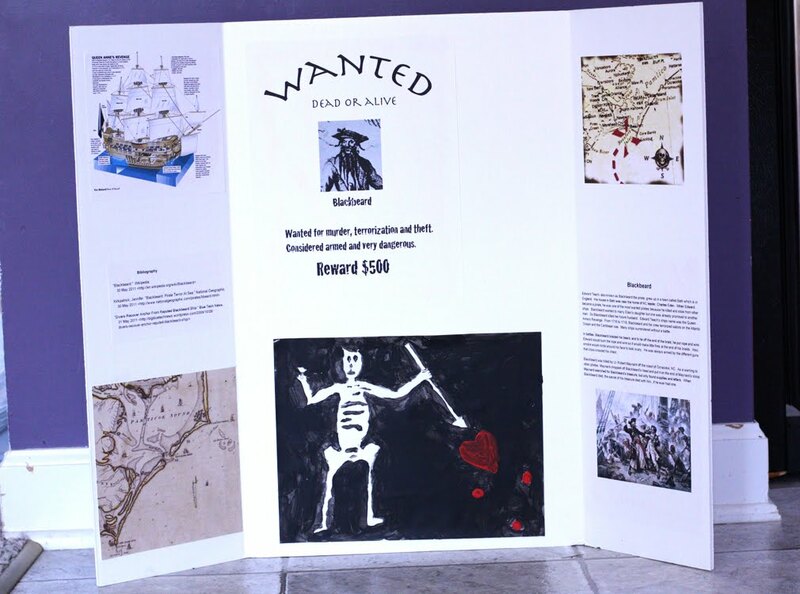 She decided to create a WANTED poster, paint his pirate flag, and write a short biography, as well as show a few maps she found online. I think the funniest part of her project was when she was rehearsing the biography she wrote, and in order to avoid scaring Finn, she would substitute various words in parts of the sentence about Lt. Robert Maynard hanging Blackbeard's head on the end of his sloop as a warning to other pirates. Zach loves Blackbeard! That's awesome! Great work Blaser gang! Boy, me, too. I am already in full-on "summer mode" (which for me just involves a lot more projects, no more rest!) It's almost time for another round of berry-picking! what a great person to research! love the costume.